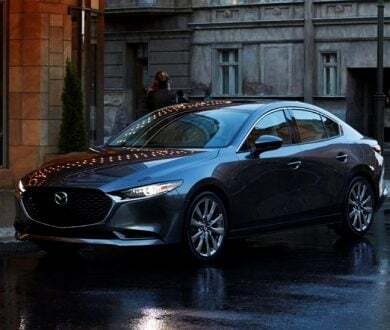 SINGAPORE, 10 January 2019 – Eurokars Group and Mazda Motor Corporation jointly present the much-anticipated all-new Mazda3 for the first time in the ASEAN region at the 2019 Singapore Motorshow, following its world premiere at the Los Angeles Auto Show last November. Read More. SINGAPORE, 26 October 2018 – Eurokars Group has taken a definitive step into the future of automotive aftersales services today with the official opening of the Eurokars Aftersales Centre – its new integrated aftersales facility which is fitted with state-of-the-art equipment and technology that will boost its capabilities in providing advanced aftersales services. Read More. 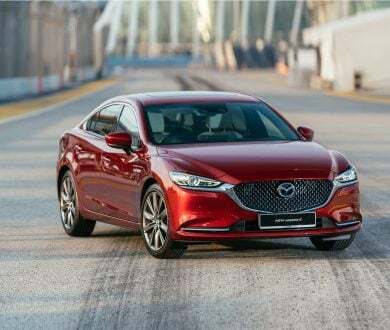 SINGAPORE, 4 August 2018 – Eurokars Group has introduced the highly-anticipated New Mazda 6 Sedan which redefines the executive car of choice in Mazda’s showrooms for all driving enthusiasts and discerning car buyers. Read More. SINGAPORE, 11 June 2018 – In celebration of the 70th anniversary of the Porsche brand and Porsche Club Singapore’s 30th anniversary, Porsche held a special charity gala dinner on 8 June 2018 at Shangri-La Hotel Singapore for over 300 guests, including Porsche customers, Porsche Club Singapore members, and members of the media. In commemoration of this, Karsono Kwee, Executive Chairman of Eurokars Group and founder of Stuttgart Auto, donated SGD 70,000 to The Straits Times School Pocket Money Fund. Both Porsche Asia Pacific and Stuttgart Auto also made a contribution of SGD 70 for each Gala Dinner ticket purchased, raising an additional sum of SGD 21,000. Read More. SINGAPORE, 1 June 2018 – Eurokars Group has become the first automotive company in Singapore to establish an endowed scholarship at the Singapore Management University (SMU). Read More. SINGAPORE, 21 November 2017 – Eurokars Group has donated a vehicle which has been modified for wheelchair access to SPD, formerly known as Society for the Physically Disabled. In addition to the vehicle donation, Eurokars Group will also cover all servicing costs related to the vehicle. Read More. SINGAPORE, 14 July 2017 – Eurokars Group will officially launch the All-New Mazda CX-5 through a captivating event that will be held this evening at the Ritz Carlton, Millenia Singapore Hotel. 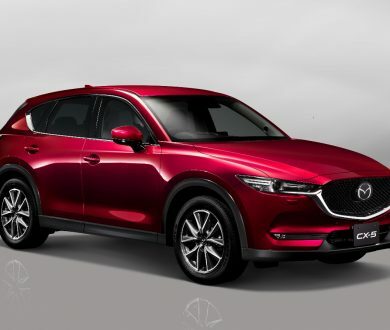 This eagerly-anticipated launch caps another milestone for Eurokars Group as it comes full circle from its launch of the first Mazda CX-5 model in 2012, after it took over the distributorship of Mazda vehicles in Singapore in 2011. Read More. SINGAPORE, 22 March 2017 – Following a Sneak Preview of the Panamera Turbo in late 2016, Porsche officially introduced the second generation Panamera, Panamera 4S and Panamera Turbo at the “Symphony of Courage” event today. All three models are immediately available at the Porsche Centre Singapore showroom. Held at Marina Bay Sands, the “Symphony of Courage” event showcased the courageous and innovative journey behind the creation of the Panamera, a car engineered to be the perfect blend of luxury and performance. Around 1,000 Porsche owners, enthusiasts, and members of the media were treated to an exhilarating unveiling of the new Panamera. Read More. SINGAPORE, 12 January 2017 – Mazda trailblazed two new models and kicked off the 2017 Singapore Motorshow with much fanfare. 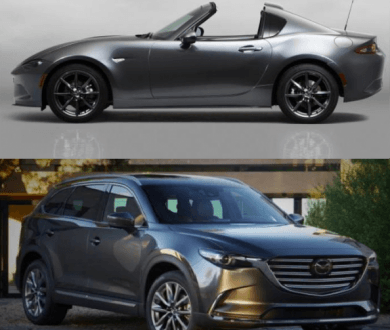 The highly-anticipated MX-5 Retractable Fastback (RF) and the All-New Mazda CX-9 were both on preview to guests, members of the media, and the public. The MX-5 RF is the latest milestone for Mazda, bringing the long-awaited Power Retractable Hardtop to this version of the award-winning roadster. The Mazda CX-9 has undergone a re-imagining which has modernised Mazda’s largest full 7-seater luxury SUV. The All-New Mazda CX-9 strikes a deft balance between sophisticated design with everyday practicality for today’s go-getters. Read More. SINGAPORE, 21 October 2016 – Eurokars Group presents Mazda as the official car of the SJ50 Event, a specially-curated event which celebrates the momentous occasion of 50 years of excellent diplomatic relations between Singapore and Japan. In conjunction with the SJ50 Event and its aim to enhance social inclusiveness and raise awareness about individuals with special needs, Mazda is participating in the three-day event that is taking place from 21 to 23 October at the Paragon Shopping Centre. Read More. SINGAPORE, 20 October 2016 – Dynamic. Agile. Athletic. Powerful. For the sport of it. The all-new Porsche 718 Cayman arrives in Singapore Singapore. 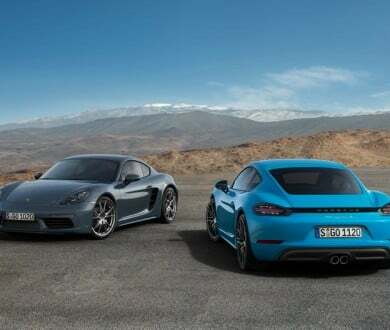 Three months after the launch of the long-anticipated 718 Boxster, Porsche Centre Singapore finally completes its family of two-door mid-engined sports cars with the debut of the all-new 718 Cayman. Launched to great fanfare in an exclusive media event at Porsche Centre Singapore, the all-new 718 Cayman was unveiled by Porsche brand ambassador and World Number One in professional women’s tennis - Angelique Kerber. Read More. SINGAPORE, 14 October 2016 – PT Eurokars Motor Indonesia, a member of Eurokars Group, has been appointed by Mazda Motor Corporation as the distributor of Mazda vehicles in Indonesia. This appointment represents a significant milestone for Eurokars Group, one of the leading automotive groups in Asia since its founding in 1985. It also reflects the synergistic partnership between Mazda Motor Corporation and Eurokars Group which is well-positioned to run the distributorship, having garnered a strong track record since it became a dealer for Mazda cars in Indonesia in 2007, and then took over the distribution of Mazda cars in Singapore in 2011. Read More. SINGAPORE, 14 October 2016 – Gearing up support for international women’s tennis Porsche provides 40-car fleet as the Official Automotive Partner for the BNP Paribas WTA Finals Singapore presented by SC Global 2016 Singapore. Porsche renewed and increased its commitment as the Official Automotive Partner of the 2016 BNP Paribas WTA Finals Singapore presented by SC Global for the second consecutive year with an impressive presentation of 40 Porsche event vehicles, following the success of the inaugural partnership last year. Read More. SINGAPORE, 14 October 2016 – Elegant. Sophisticated. Exclusive. Made to win hearts and conquer the roads. Porsche launches the new Cayenne Platinum Edition in Singapore Singapore. 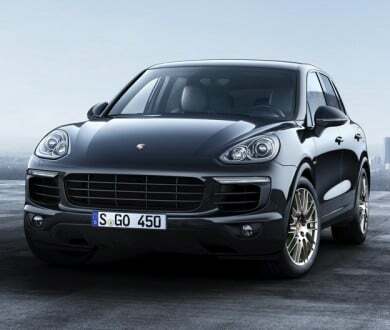 Porsche has introduced the new Cayenne Platinum Edition in Singapore. Easily recognisable at first glance by their distinctively sporty appearance, this new limited-run series feature an extensive range of options at a highly attractive price package. Three variants are available—the Cayenne Platinum Edition, Cayenne Diesel Platinum Edition, and Cayenne S E-Hybrid Platinum Edition. Read More. To continue to deliver on its brand promise and cater to its expansion, Eurokars Group has opened an integrated and one-stop aftersales facility. This S$70 million and 430,000 square feet facility in Tanjong Penjuru in the Western part of Singapore houses its aftersales operations and serves as a one-stop hub for repairs and maintenance, pre-delivery inspection, body repair and spray painting, as well as warehousing of all the brands under the group. Read More. 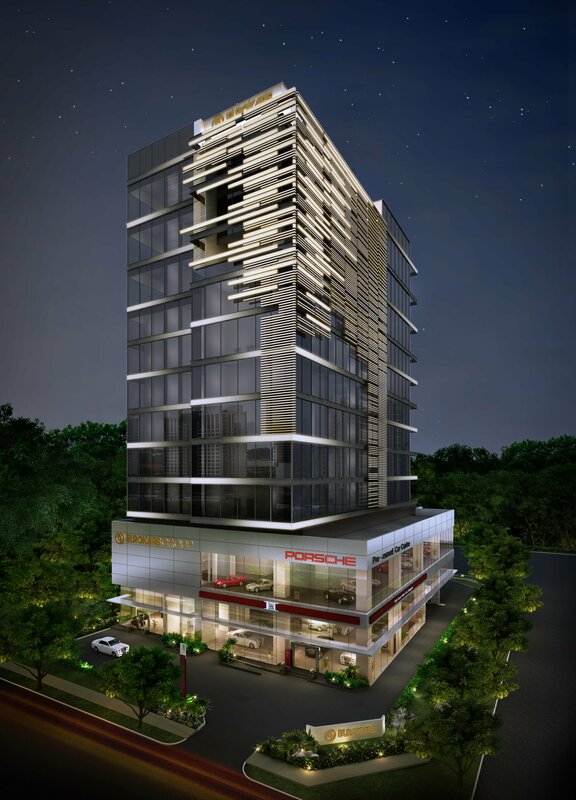 Eurokars Group has embarked on the development of its new corporate headquarters at Kung Chong Road. Read More.